Access mud flaps for your 2016 Ford F-150 are available from etrailer.com. Installation instructions and reviews for your Ford mud flaps. Expert service, and cheapest mud flaps price guarantee. etrailer.com carries a complete line of Access products. 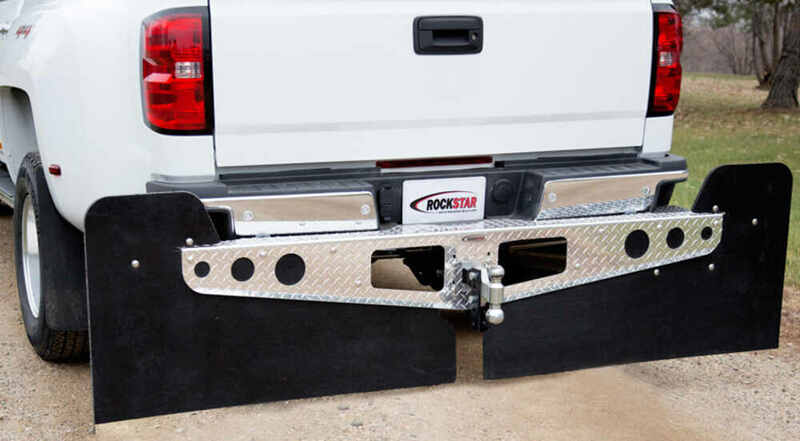 Order your Access Rockstar 3XL Custom Mud Flaps - 47" Wide - Diamond Plate part number A10100523 online at etrailer.com or call 800-298-8924 for expert service. These 3XL mud flaps provide your towed boat or trailer with more protection from rocks and road debris than standard-size mud flaps. Custom-fit frame provides a factory look and allows access to hitch pin and wiring. Clamps onto 2" ball mount. 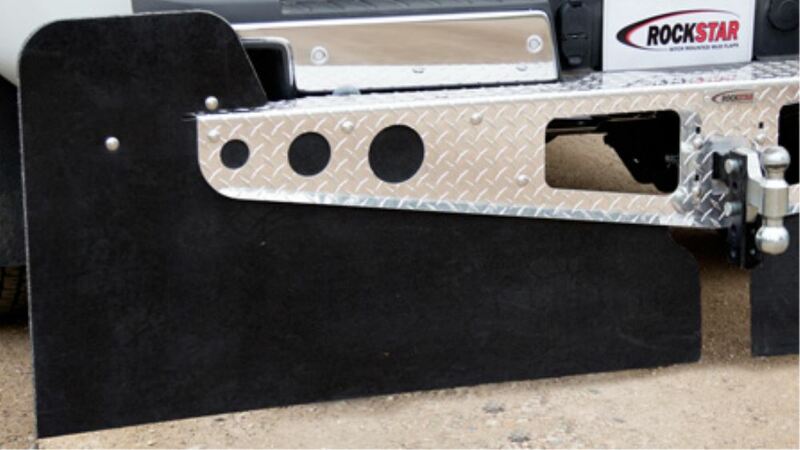 The Rockstar hitch-mounted mud flaps come in 4 different sizes. These 3XL mud flaps (highlighted in the image above) are perfect for dually trucks that may kick out debris in a wider area. They provide much more coverage inward toward your ball mount than the standard flaps. And the 3XL flaps extend 9" beyond the frame compared to the XL and standard flaps which only extend 1" past the frame. Plus these 3XL flaps extend up above the top corners of the frame to block even more debris. Rockstar mud flaps just look cool on your truck. The diamond plate finish gives your vehicle a rugged look, and the frame hugs your bumper tightly for a from-the-factory fit. The mud flap length is designed to fit perfectly with the stock ride height of your truck, and the mud flaps have rounded top corners for a sleek appearance. Order: RelevanceNewestRating - High to LowRating - Low to High These 3XL mud flaps provide your towed boat or trailer with more protection from rocks and road debris than standard-size mud flaps. Custom-fit frame provides a factory look and allows access to hitch pin and wiring. Clamps onto 2" ball mount.